When you start a Kaggle challenge, a computer is usually needed to hold all dataset in the memory and accelerate the training with your GPU. 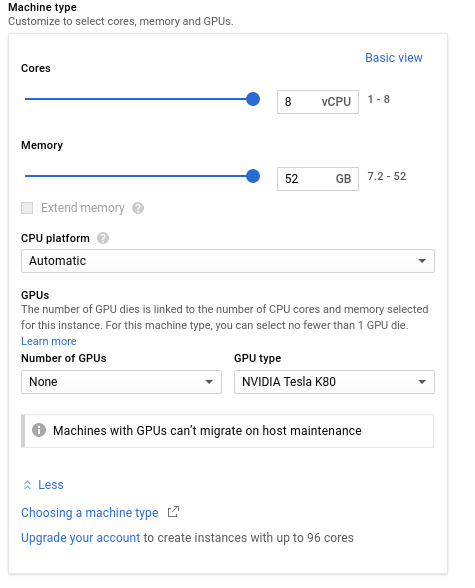 Rather than purchasing a new computer, I’d like to do it free with 300$ credit offered by Google Cloud Platform. 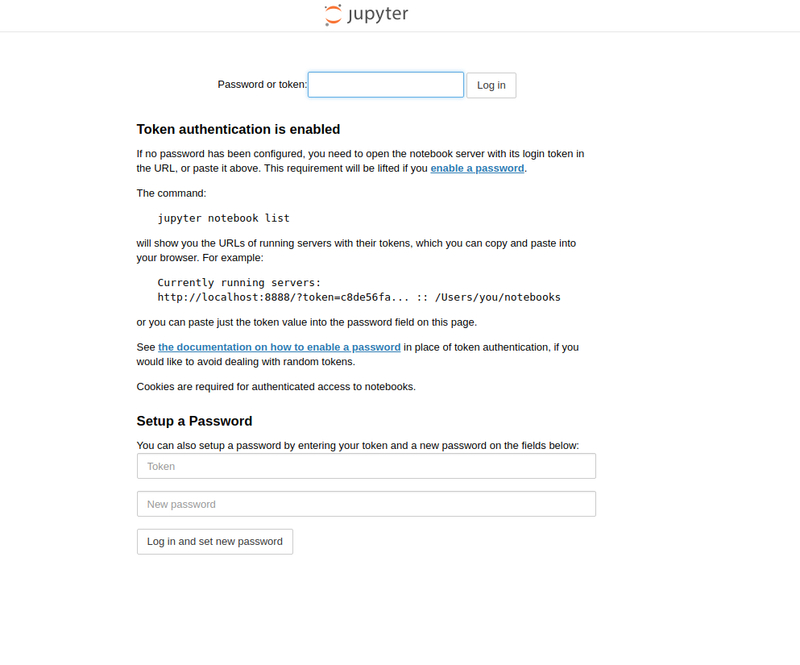 For this step, you can create a new Google Account or sign in with your Google Account on https://cloud.google.com/. Then, you will have to put your payment information and verify your account. Click on the three dots shown in the image below and then click on the + sign to create a new project. 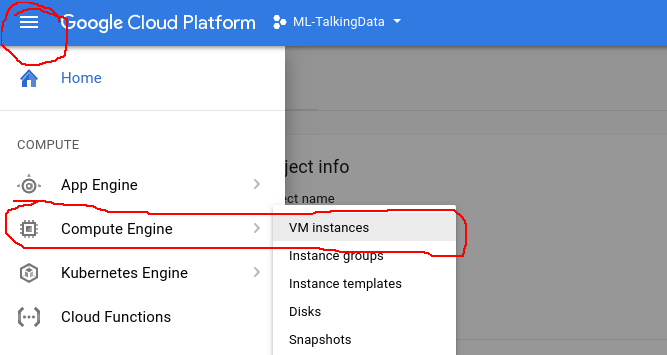 Now click on ‘Create new instance’. Name your instance, select a zone close to you, in my case, I chose ‘europe-west1-b’ .Choose your ‘machine type’. (I chose 8v CPUs 52 GB memory because i had a huge dataset). 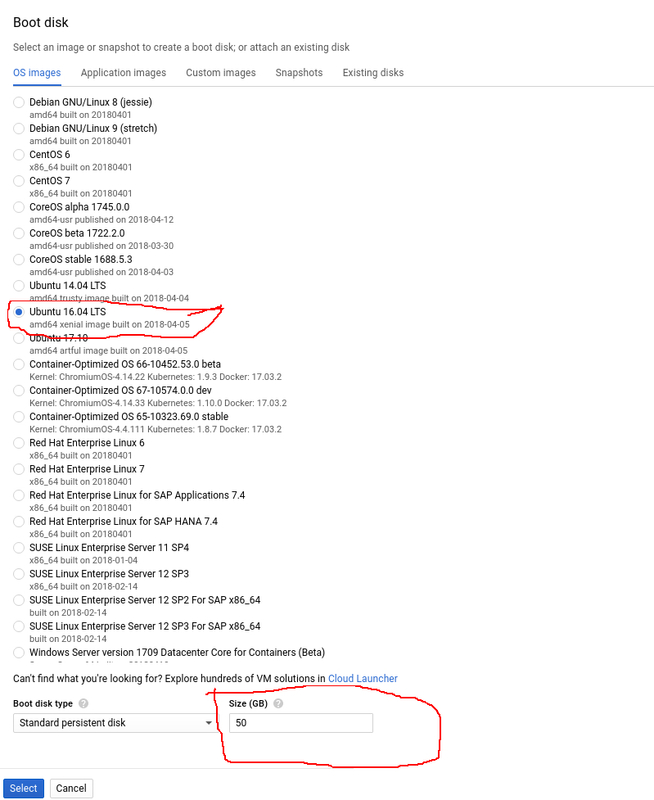 GCP will give you a estimated price according to your configurations. Under Boot Disk option, select your os as ‘Ubuntu 16.04 LTS’ and your disk size as what you need for your datasets, for example, I need 50 GB. Under the firewall options tick both ‘http’ and ‘https’ (very important). Then, choose the disk tab and untick ‘ Delete boot disk when instance is deleted’. 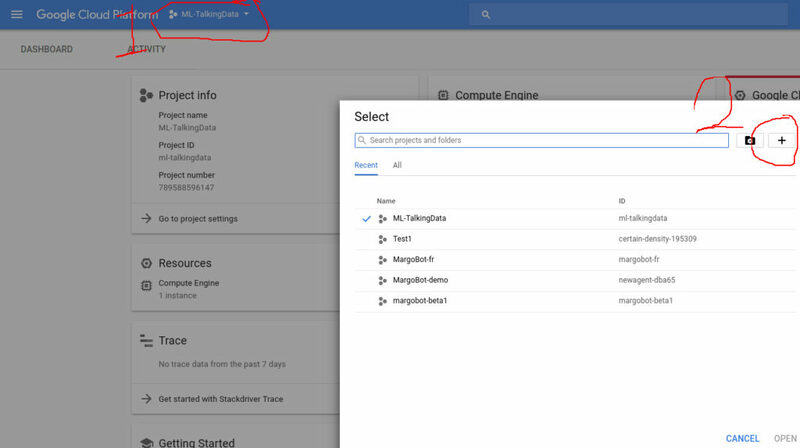 Now click on ‘Create’ and your instance is ready! IMPORTANT : DON’T FORGET TO STOP YOUR GPU INSTANCE AFTER YOU ARE DONE BY CLICKING ON THE THREE DOTS ON THE IMAGE ABOVE AND SELECTING STOP. OTHERWISE GCP WILL KEEP CHARGING YOU ON AN HOURLY BASIS. By default, the external IP address is dynamic and we need to make it static to make our life easier. 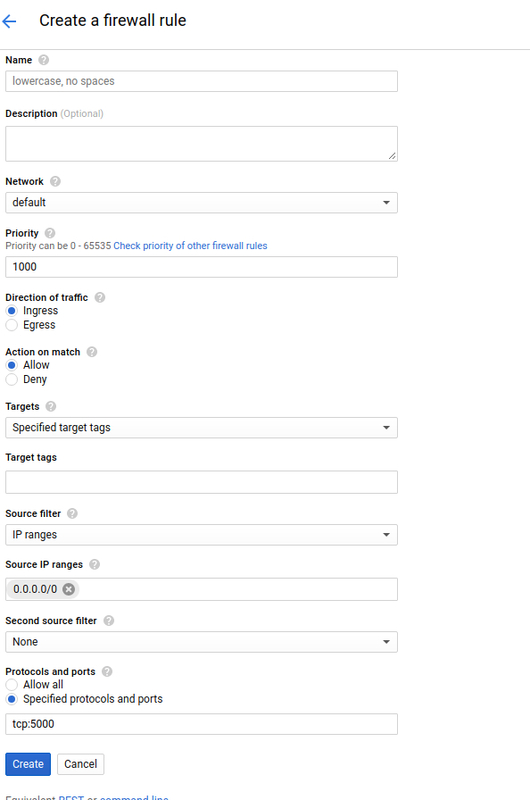 Click on the three horizontal lines on top left and then under networking, click on VPC network and then External IP addresses. Change the type from Ephemeral to Static. Under protocols and ports you can choose any port. I have chosen tcp:5000 as my port number. Now click on the save button. 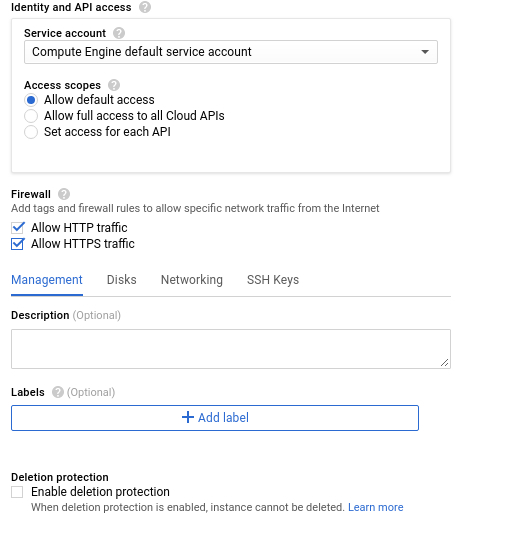 Then run gcloud init follow steps on yhe website to initialize your Google Cloud SDK. 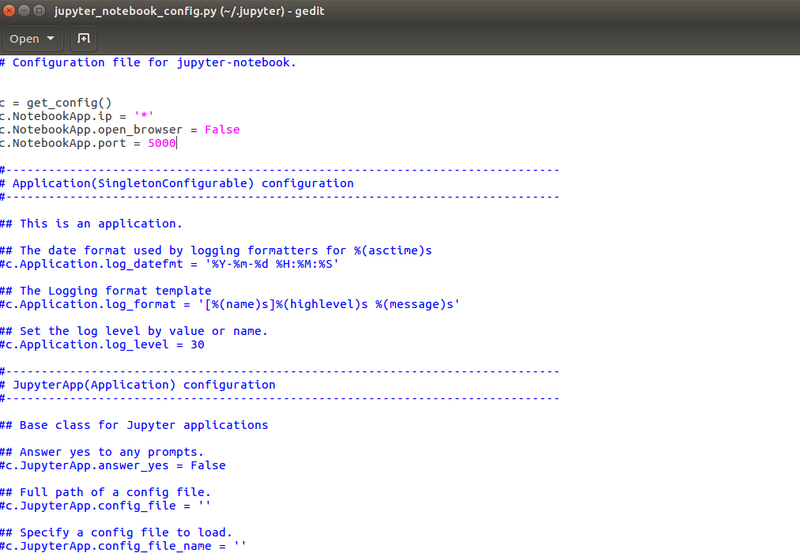 We’re going to add a few lines to your Jupyter configuration file; the file is plain text so, you can do this via your favorite editor (e.g., vim, emacs). Make sure you replace the port number with the one you allowed firewall access to in step 4.
where, external ip address is the ip address which we made static and port number is the one which we allowed firewall access to. 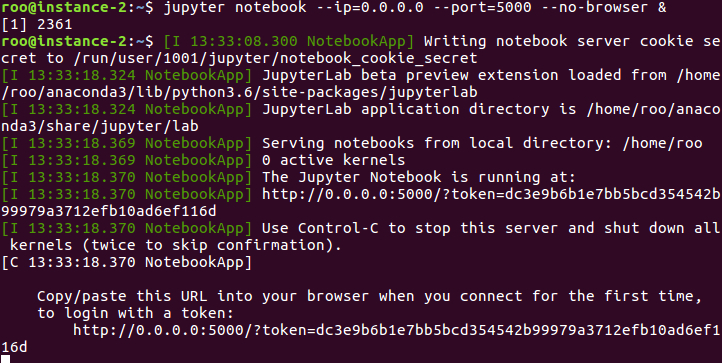 Then you have a jupyter notebook running on GCP. 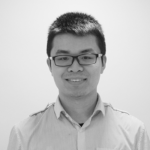 TalkingData, China’s largest independent big data service platform, covers over 70% of active mobile devices nationwide. Their current approach to prevent click fraud for app developers is to measure the journey of a user’s click across their portfolio, and flag IP addresses who produce lots of clicks, but never end up installing apps. While successful, they want to always be one step ahead of fraudsters and have turned to the Kaggle community for help in further developing their solution. TensorFlow is a software library, open source since 2015, of numerical computation developed by Google. The particularity of TensorFlow is its use of data flow graphs. Margo Consultants participated in Devoxx France 2018 , the conference for Passionate Developers, organized from April 18 to 20, 2018 in Paris. Discover a synthesis on reactive systems illustrated by a concrete use case. 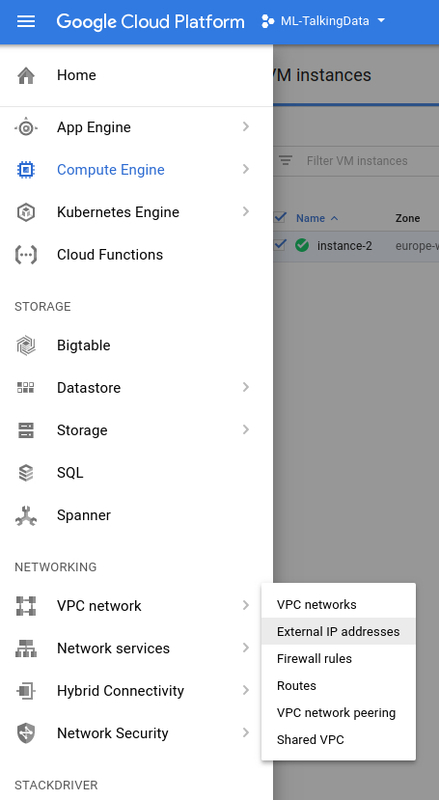 Google offers about 50 different products in its Cloud solution, from storage and computing infrastructure to Machine Learning, including massive data analysis and transformation tools. These solutions are mainly quick to set up (around 10 minutes or less) and cheap compared to standard on premise softwares. Do you know the latest AngularJS 2 evolutions?